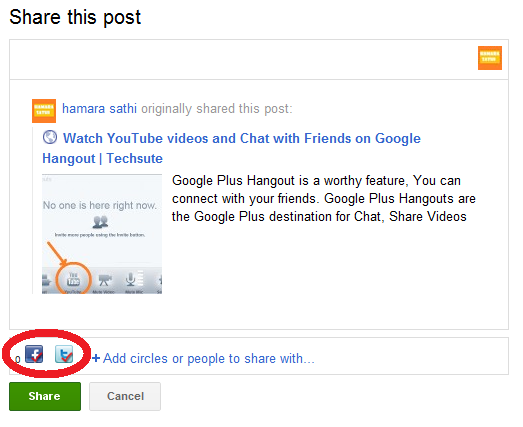 Google Plus is slowly joining bandwagon of most popular social media networks with Facebook and Twitter. Although if you are on all these three websites, then you need more time to post sharing and checking friends update on all three websites. But with Start G+ Google Chrome extension you can automatically share post and check updates on Twitter and Facebook from Google Plus wall stream. 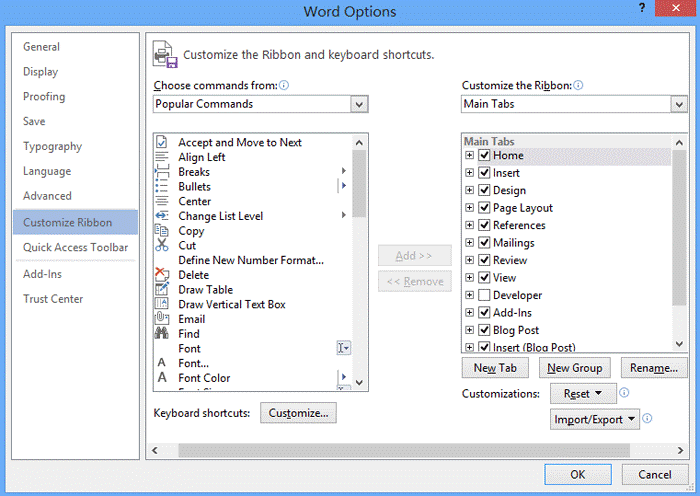 First download Star G+ plugin from here and then install it in Google chrome browser. 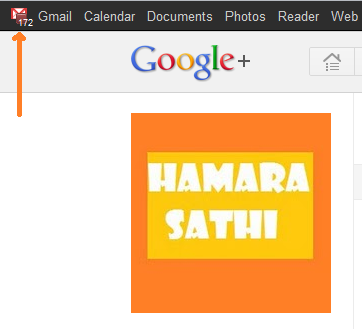 When you install this chrome plugin then Facebook and Twitter button will appear below the Google Plus share box. When you share some post on Google Plus (+), Start G+ Google Chrome extension simultaneously publish that post on your Facebook wall and Twitter account. 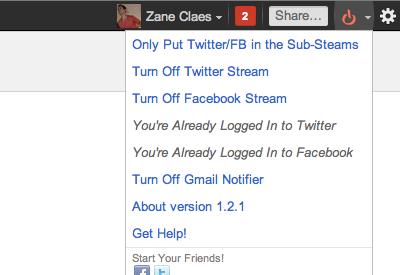 You can Toggle Facebook and Twitter sharing after click on icons. You can also view your Facebook wall updates and twitter stream on Google Plus, so you don’t need to visit one by one Facebook, Twitter and Google Plus profile to view latest updates. 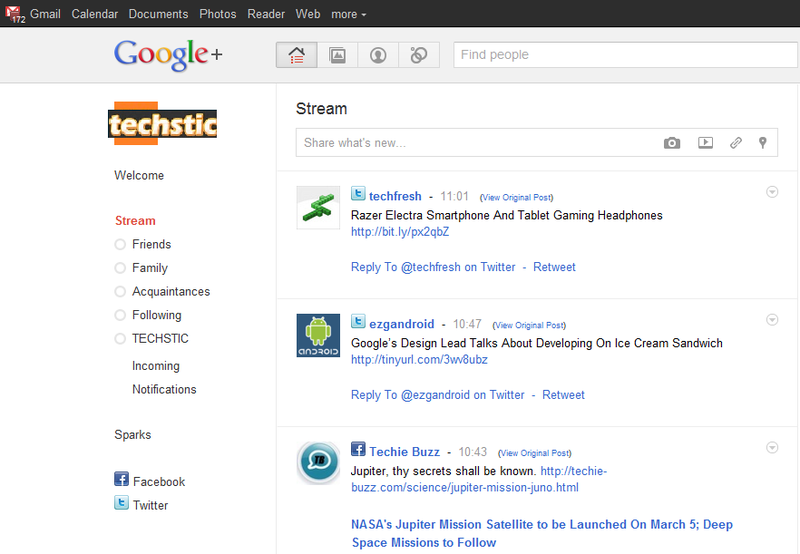 You can view all three profile updates simultaneously on Google plus by Star G+ Google chrome extension. 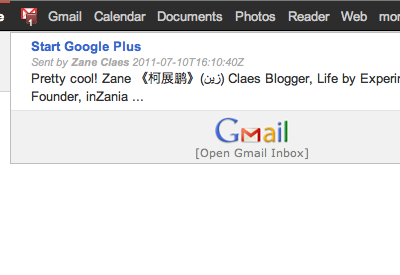 You will also get Gmail Inbox Notifier feature with Start G+ Chrome extension to the top bar, You will see no. of emails in Gmail Inbox there, Clicking on the Gmail icon shows a menu with Gmail inbox messages, So you can directly access your emails inside Google Plus. After click on the Gmail icon, you will get a Gmail Inbox preview without open it. 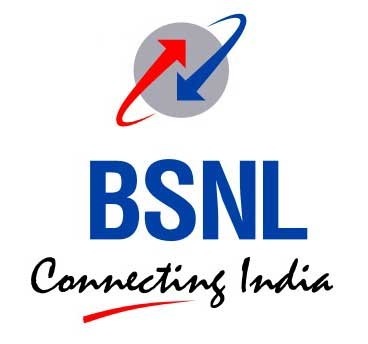 For posting to Twitter and Facebook, you need to login to both the services on your Chrome browser.